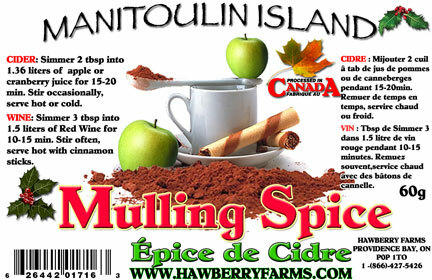 Click the button below to add the Mulling Spice Party Pack to your wish list. Mix 2 tablespoons into 1.36 litres of apple juice or cranberry juice to make a wonderful beverage that can be served hot or cold. Ingredients: sugar, spice, orange peel, lemon peel.